Opinion: Can cultural attributes help guide us as we restore degraded waterways back to health? Norm Hill, Kaiarataki in Boffa Miskell's Te Hihiri discipline discusses the intersection between indigenous beliefs and colonial regulations on New Zealand’s environment. Incorporating Maori cultural values to legislative frameworks highlights mana whenua’s spiritual connection with, and stewardship of, New Zealand’s freshwater rivers, lakes and wetlands. Q: Are there any parallels between the way we handle water legislatively, through the RMA, that are complemented by Te Ao Maori worldview? Waikato-Tainui believe we are metaphysically and spiritually connected to the elements of the natural world because they are a gift that has been provided by the spiritual world; and it’s important that relationship is recognized. The Waikato River, its springs and its tributaries, is seen as the veins of Papatūānuku the Earth Mother. If we look after the water systems, then our mother earth is being looked after too. And our Earth Mother will look after us. In terms of the cultural perspective – mana, mauri, tiakina I te taiao and all those values associated with the environment – water is at the centre. From a scientific point of view, H2O is part of the hydrological cycle – the continuous movement of water on, above and below the surface of the Earth. So, you can make a connection between the spiritual and the scientific viewpoints. Water is considered to possess mauri (life force) and therefore has a spirit or wairua. 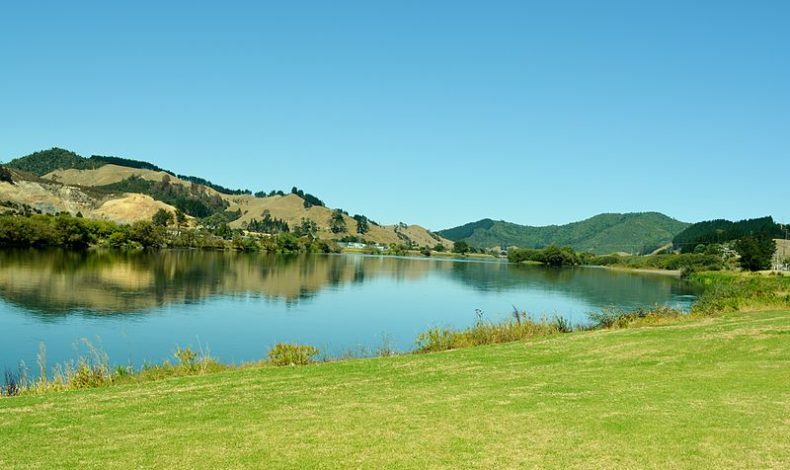 In terms of legislation with respect to river settlements, in regard to Waikato-Tainui and Whanganui Iwi, both recognise te mana or te wai – which is essentially the prestige status of the water; and mana whakahaere – which is how you work together in partnership to look after that water. The ability to practice kaitiakitanga and contribute tikanga, kawa and mātauranga Maori to decision making processes is important to the people of Waikato Tainui and Whanganui. Those values are acknowledged legislatively: there are sections within the RMA that provide for these cultural associations with the environment; and procedures are in place to ensure that Te Mana o Te Wai (the spiritual values of the water) are part of national policy statements for freshwater. Te Mana o te Wai is a core concept for fresh water that is enshrined in the National Policy Statement for Freshwater 2014 (NPSFW). It encompasses the integrated and holistic health and well-being of a water body. It represents the innate well-being and vitality (mauri) of a water body and its ability to provide for the health of the water (te hauora o te wai), the health of the environment (te hauora o te taiao), and the health of the people (te hauora o te tangata). The health and well-being of our water bodies is integral to the health and well-being of our land and other resources (including fisheries, flora and fauna) and to our health and well-being both as communities and as a nation. When Te Mana o te Wai is given effect, the water body will sustain the full range of environmental, social, cultural and economic values held by iwi and the community. Māori continue to have a strong interest in water quality and quantity and the life supporting capacity of water and will continue to have protect the taonga for future generations. Does the RMA do a good job of encapsulating those spiritual and cultural aspects? Things have improved significantly since I started my career. The National Objectives Framework, and National Policy Statement for Freshwater Management, Iwi Environmental Management Plans have been key tools to help provide recognition and consider the cultural associations with water in decision-making. Iwi Environmental Management Plans contain numerous policies of relevance to the use, quality and quantity of wai. These policies provide guidance on ways to both protect and enhance key cultural values, as well as recognise and provide for the relationship and associations iwi have with wai. On a local and regional level, councils are proactively finding ways to align these two worldviews. A recent landscape study by the Waikato District Council was co-authored by landscape planners and by local iwi. The study was largely driven from the statutory requirements under the RMA 1991; and both iwi and hapuu provided their cultural narrative for each of the values of identified landscapes. Those values were expressed in parallel with the factors, values and associations identified in the Waikato Regional Policy Statement. One of the tools that have been developed, from a mana whenua point of view, is the notion of mauri (health and well-being) as a cultural heath index based on key cultural attributes and selected standards that have been developed by the local mana whenua. It’s essentially a Maori approach used to assess and articulate resource conditions and the impact of a particular activity on the local waterways in regard to water quality and resource degradation. Do these cultural attributes help guide us as we restore degraded waterways back to health? Working to restore a damaged waterway, you can look at the physical associations, attributes, from the western science-based point of view, and that’s pretty easy to measure and quantify. But you have to take into account the qualitative cultural health indicators/attributes that the local mana whenua have, from a mātauranga perspective, we acknowledged a cultural approach that’s complementary to the scientific approach. Ngai Tahu were one of the first to create a culturally based system for environmental monitoring and reporting with ‘State of the Takiwa’ in early 2000’s. Last year, in Boffa Miskell’s Te Hihiri discipline, Te Pio Kawe wrote an assessment for Bay of Plenty Regional Council, to get an understanding of the various tools and frameworks across the country. I was part of a team that designed a Wai Ora, Wai Māori assessment tool, based on the presence or absence of taonga species, and the social, qualitative and quantitative aspects: the water’s taste, the ability to host visitors in the area and a whole raft of other key cultural attributes. One of the most important things to restoring a water body is acknowledging what’s happening on the land, because what happens on the land affects the receiving water body. If you address the cause and the issues, all those other things will fall into place. We need to jointly, proactively and protectively look at solutions to restore the health and well-being of the water system – whether that’s a wetland or a river. Are we making progress on that front? I think we are. There’s increased use of cultural assessment tools, and the restoration of cultural indices around wetland systems, and applying cultural frameworks in many large-scale resource consent applications. Bearing that in mind, we need to ask what does ‘restored’ mean? Using the Waikato-Tainui River Settlement as an example, there’s the Waikato-Tainui Environmental Plan, Tai Tumu Tai Pari Tai Ao (‘the Plan’), which is developed out of Whakatupuranga 2050 (W2050). The W2050 is a long-term development approach to building the capacity of Waikato-Tainui marae, hapuu, and iwi and will be a legacy for those who come after. The vision of the Waikato-Tainui Environmental Management Plan is taken from a maimai aroha of the second Maaori King, Taawhiao, where he talks about the natural resources of the Waikato. Tooku awa koiora me oona pikanga he kura tangihia o te maataamuri. From a science-based perspective, a river typically becomes less beautiful or healthy as it flows, due to the cumulative degradation. But from a cultural perspective, Waikato-Tainui aspires to the holistic restoration of the environment to the state that Kiingi Taawhiao saw: a river that is drinkable, that is filled with healthy fish, that is spiritually restorative. So the river and the water, and the associations with those taonga are important because of all those holistic connections. He piko, He taniwha. He piko, He taniwha. Waikato Taniwha Rau. Which means “at every bend there’s a taniwha” or a chief. The Waikato is the river of a hundred chiefs. The taniwha is a spiritual guardian that’s there to represent protection. So, if at every corner there’s someone protecting the water and looking after that bit of the river, then it’s an achievable goal that each bend will be more beautiful than the last. Wai Ora – Life giving and sustaining. Wai Mate – Waters that have exceeded the ability to properly sustain life. The key is how do you measure what you’re currently doing, so as to acknowledge the gains – or not – of the current investment and activity that’s been happening around the river, the tributaries, the lakes and the wetlands? We believe the most accurate measurement – and the best way forward — is qualitative assessment based on cultural understandings, used alongside the quantitative science-based approach. Those two viewpoints are not mutually exclusive. In fact, they can be complementary. There is a need to give effect to the overarching purpose of the Waikato River Vision and Strategy to restore and protect the health and well-being of the Waikato River for present and future generation. The successful implementation of co-management, joint management agreements and relevant environmental plans/ arrangements provides for this new approach.